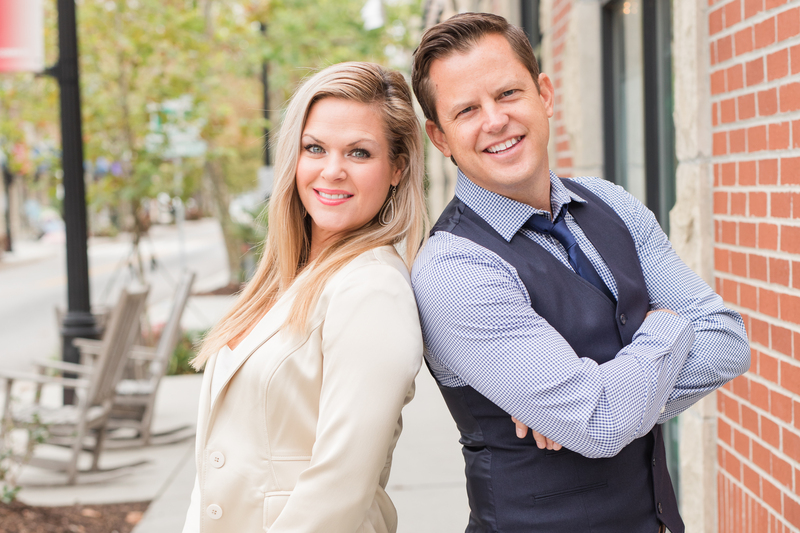 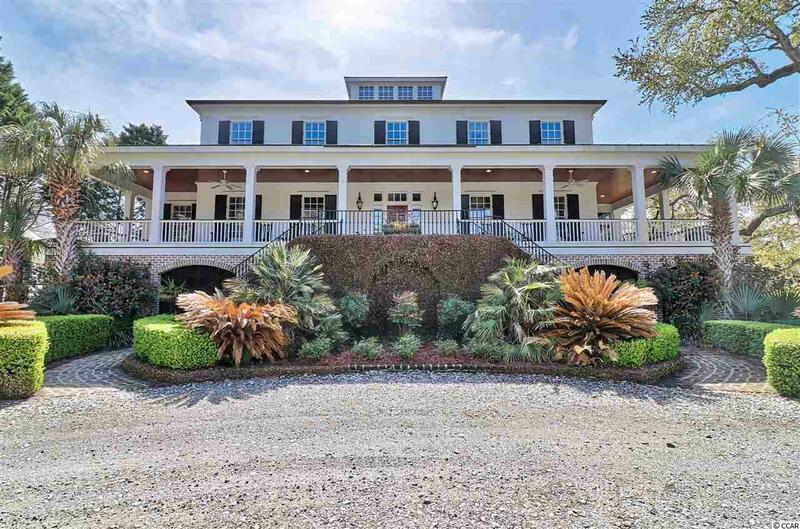 A Jewel of the Lowcountry! 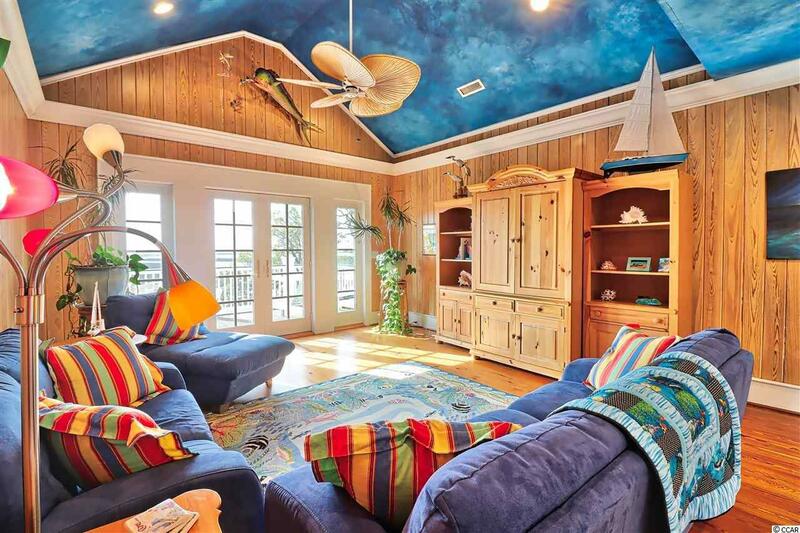 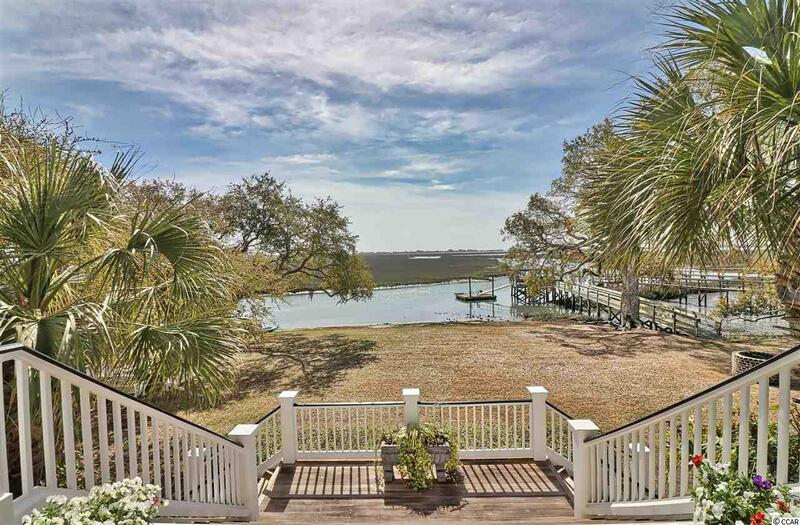 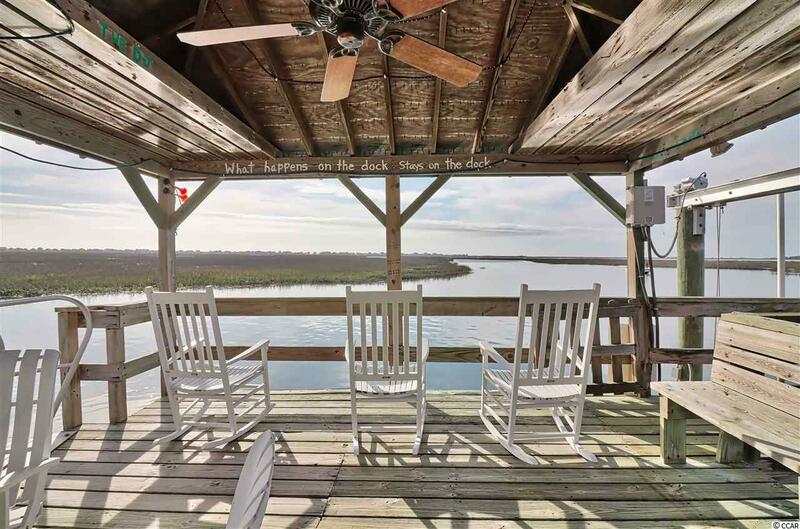 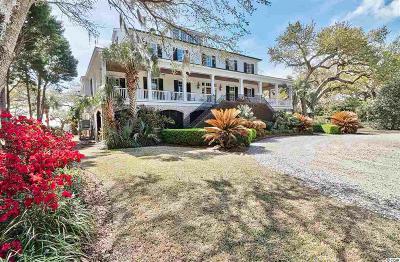 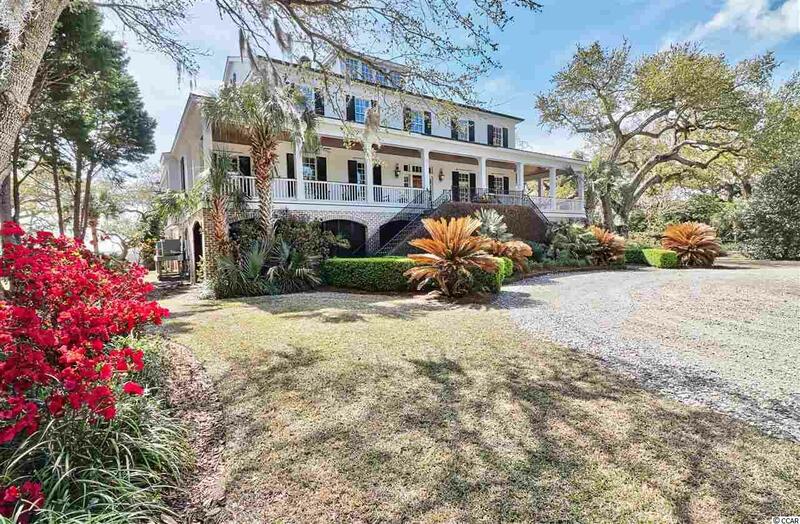 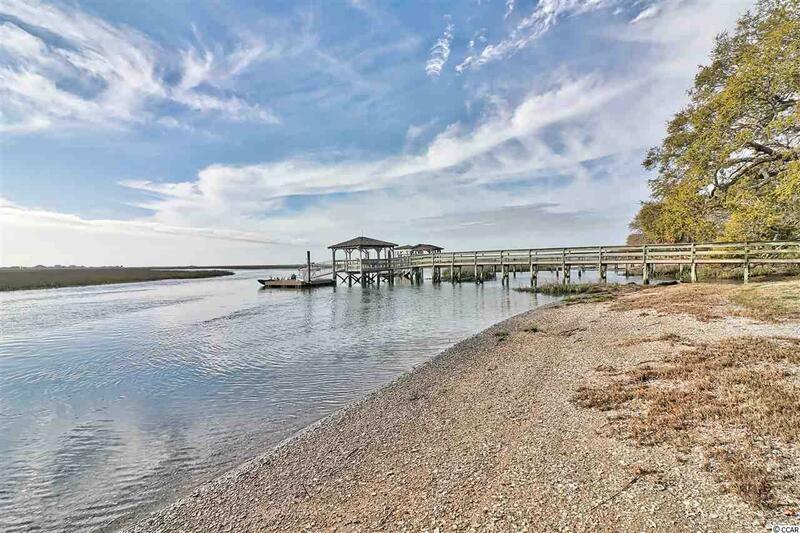 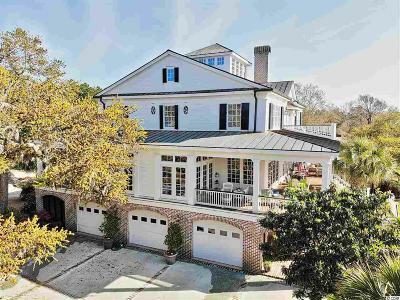 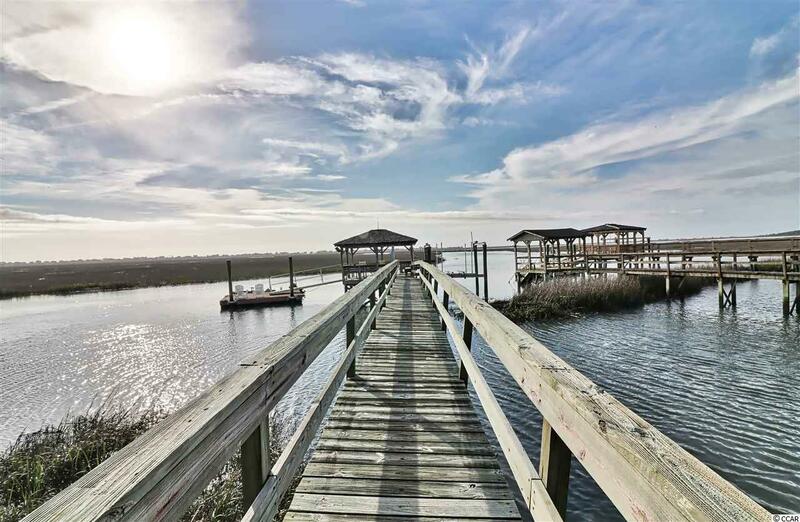 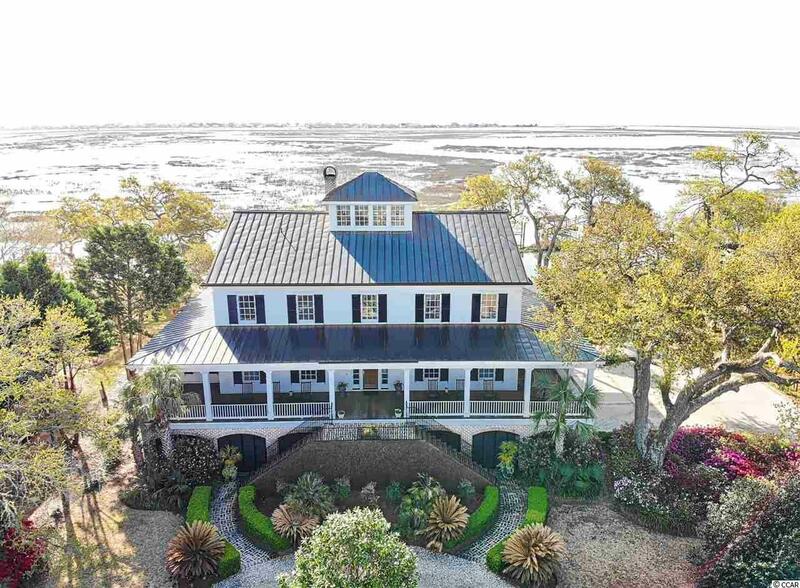 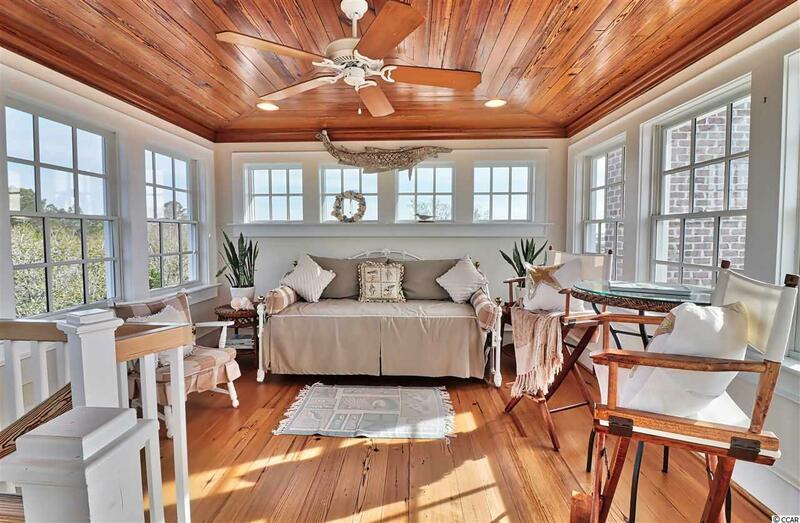 This Absolutely Stunning Property is located on a Double Waterfront Lot Overlooking the Marsh and Ocean in Murrells Inlet. Spacious 5 bedroom, 4.5 bath, 2 kitchen, 3 story home plus a cupola that offers views all the way to the ocean and up the coastline. 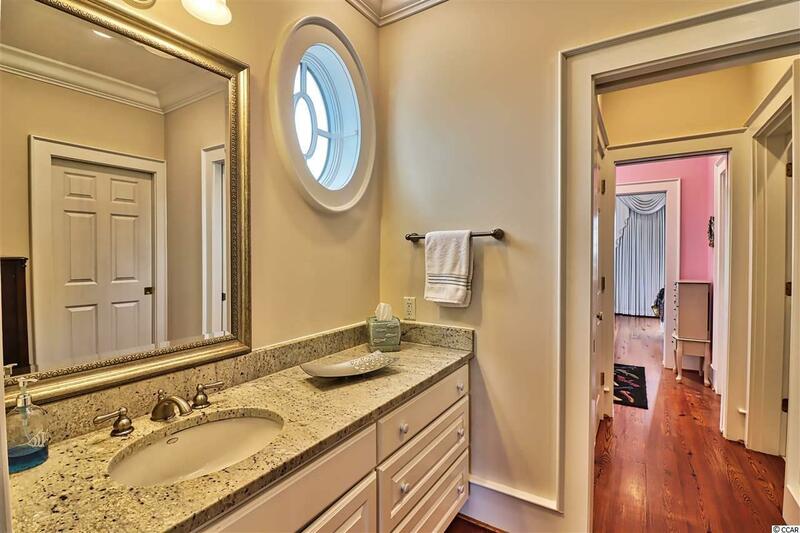 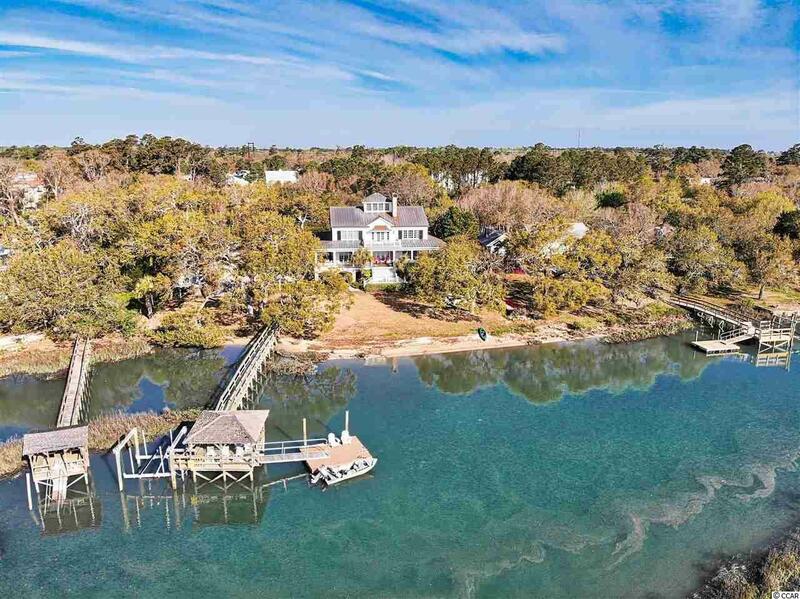 One of the few properties in the area with Deep Water Access even at low tide, this Plantation style home custom built in 2003 boasts extensive upgrades and is on an historical property. 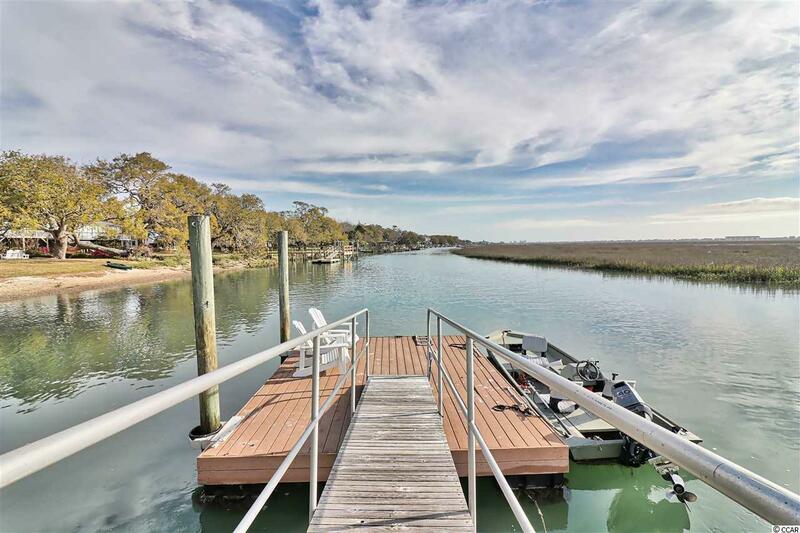 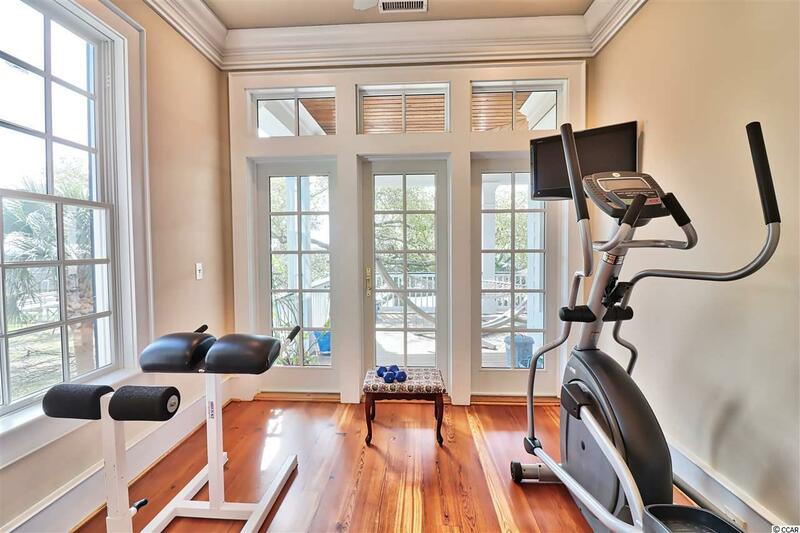 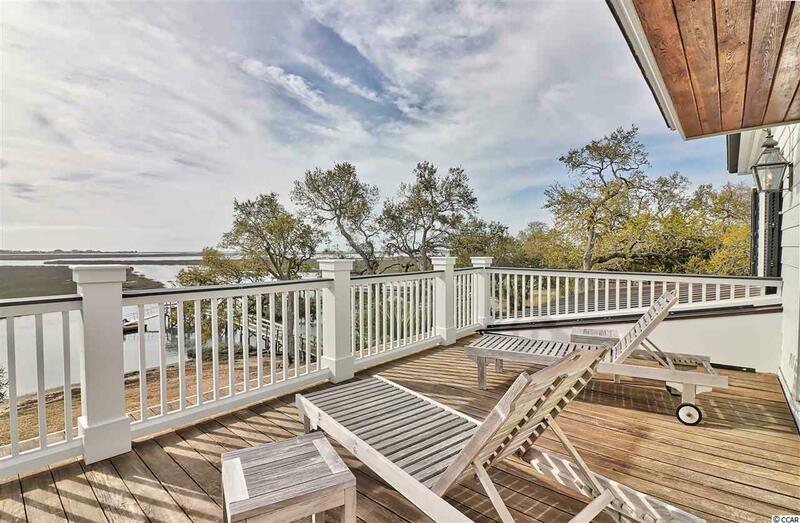 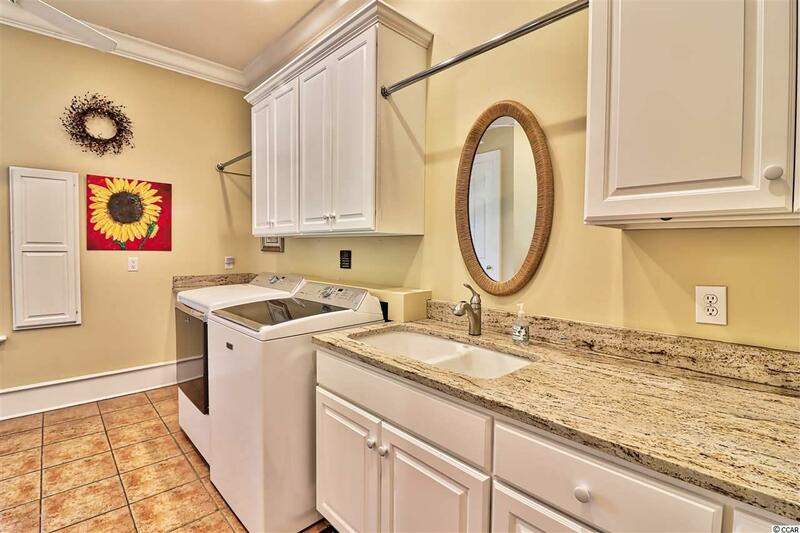 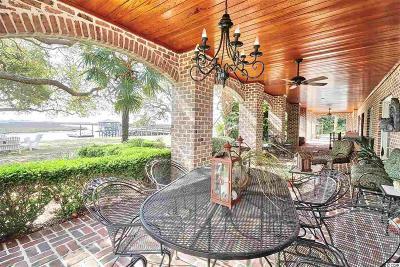 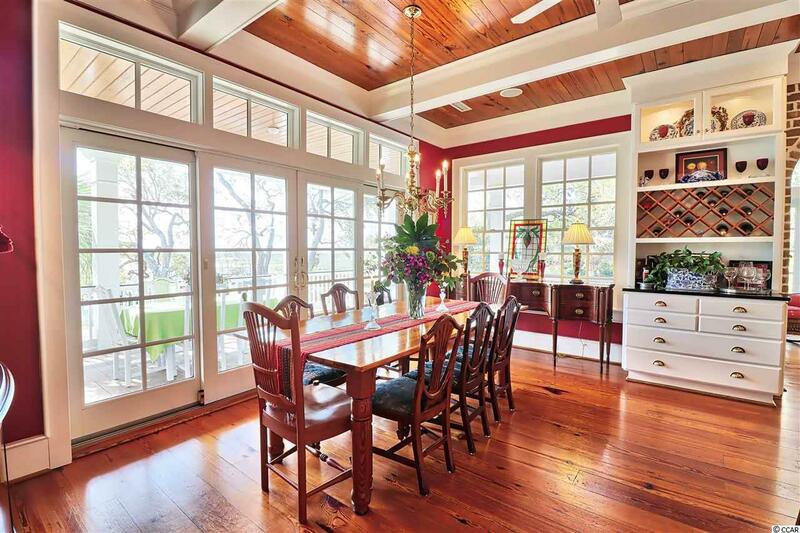 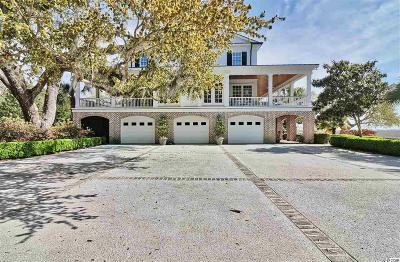 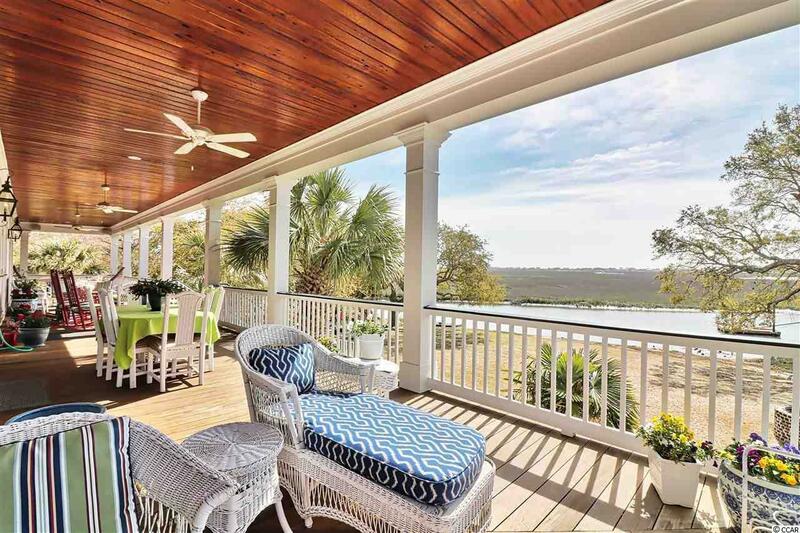 Surrounded by gorgeous landscaping and historic Live Oaks, it has an Oversized Heated and Cooled 4 Car Garage with Expansive Work and Storage area, Private Boat Ramp, Dock, Floating Dock, and Boat Lift. 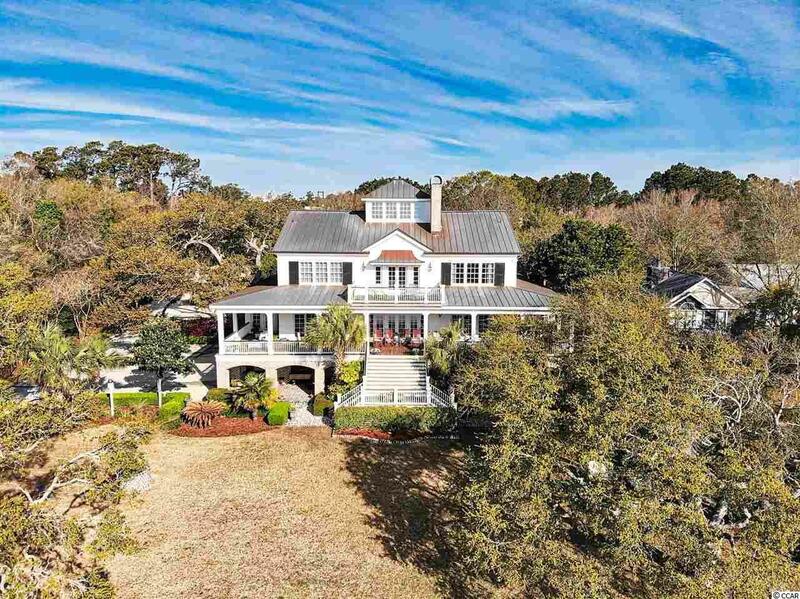 Features 12 foot wide Wraparound Porches, reclaimed 250 year old heart pine flooring throughout, granite countertops, 2 Upgraded Chefâs Kitchens & elevator. 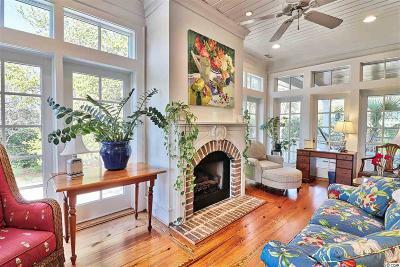 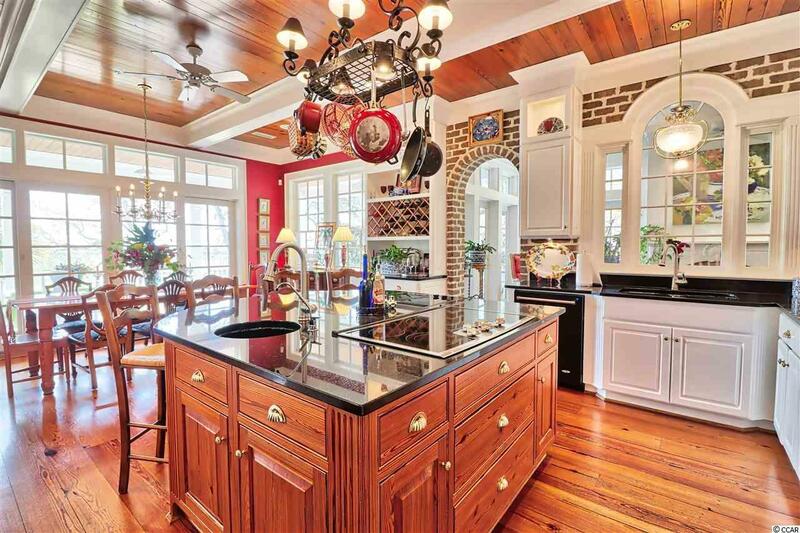 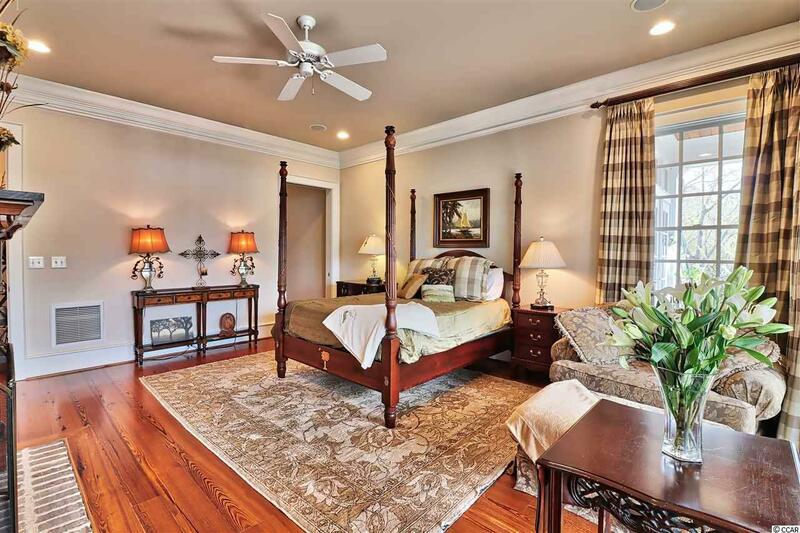 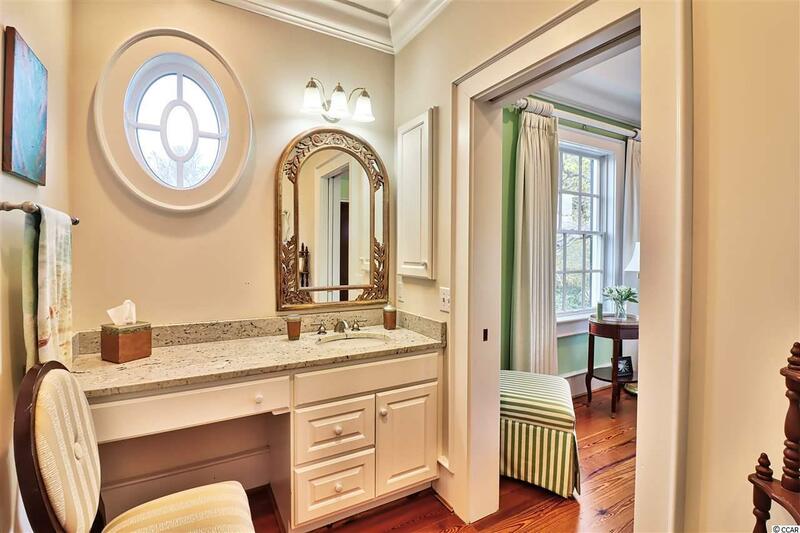 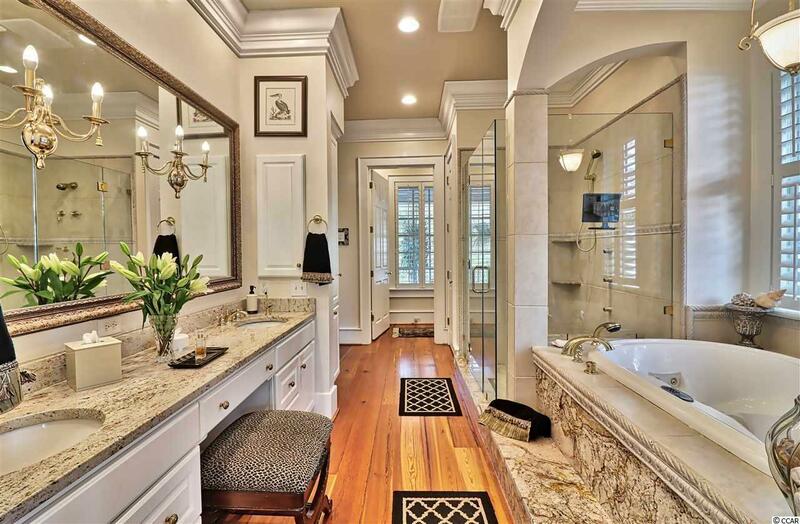 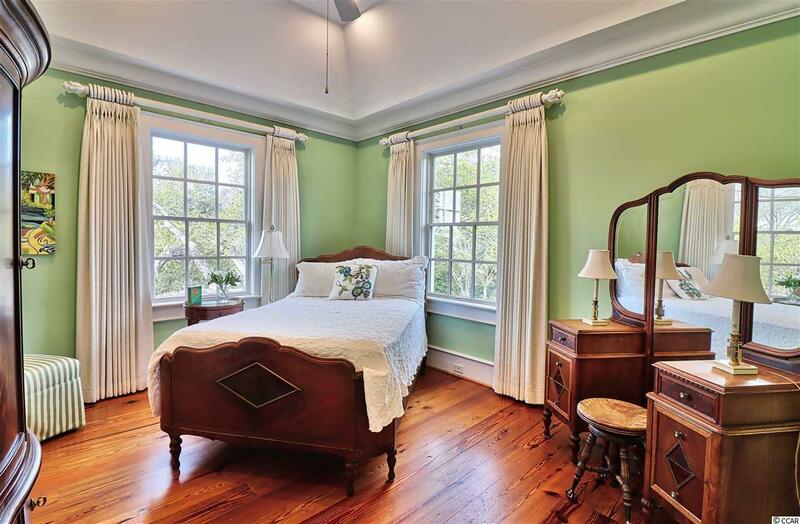 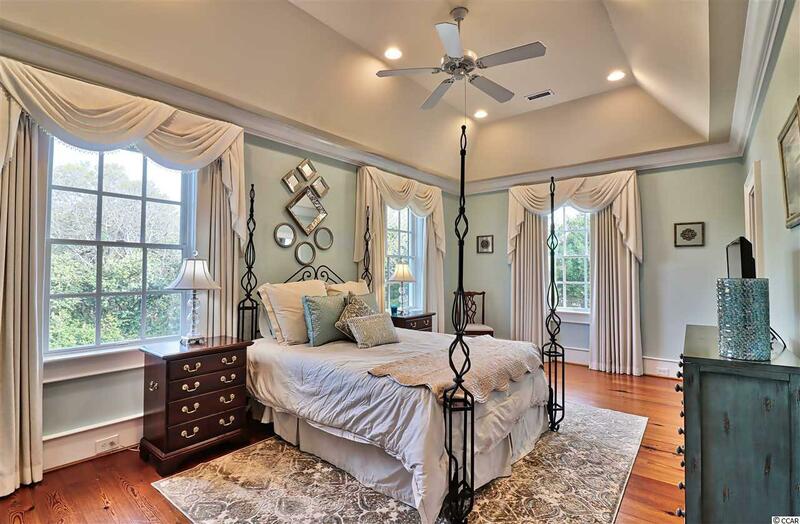 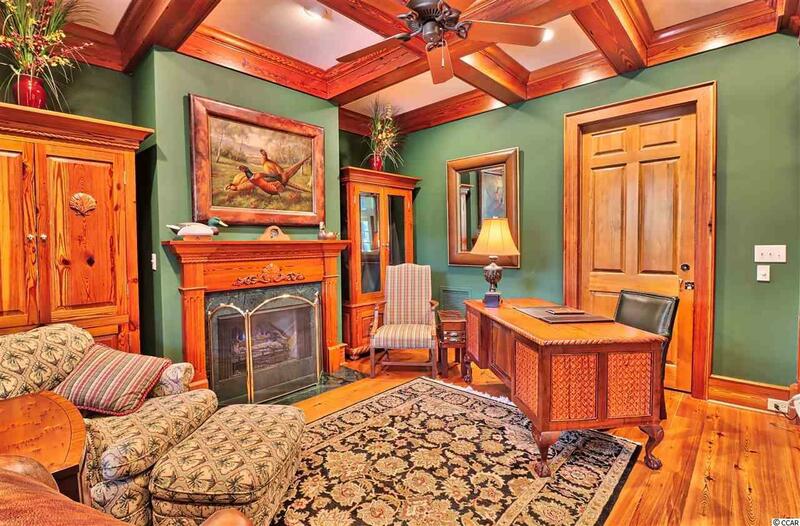 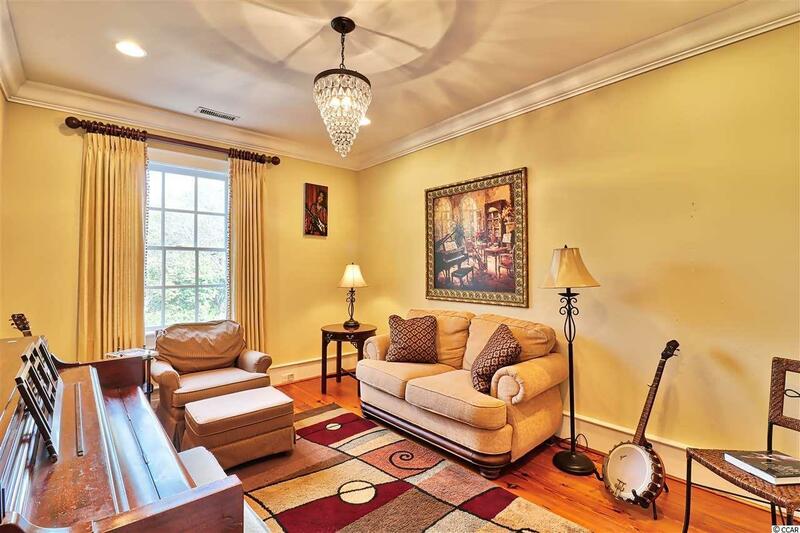 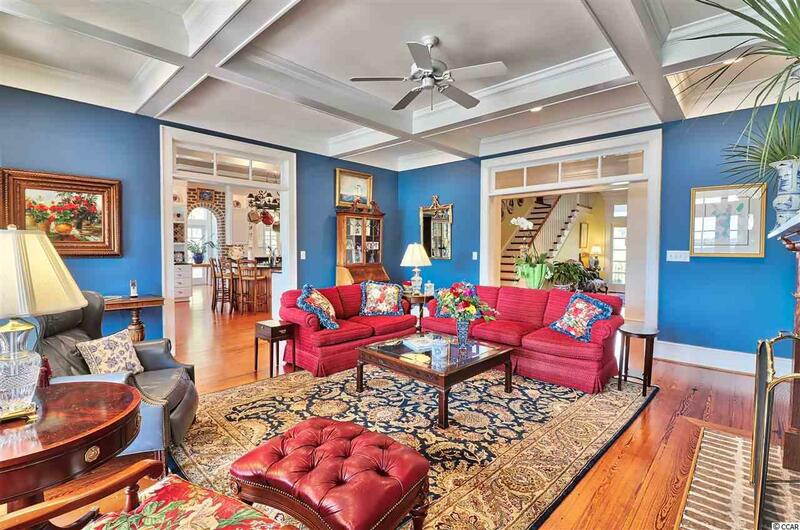 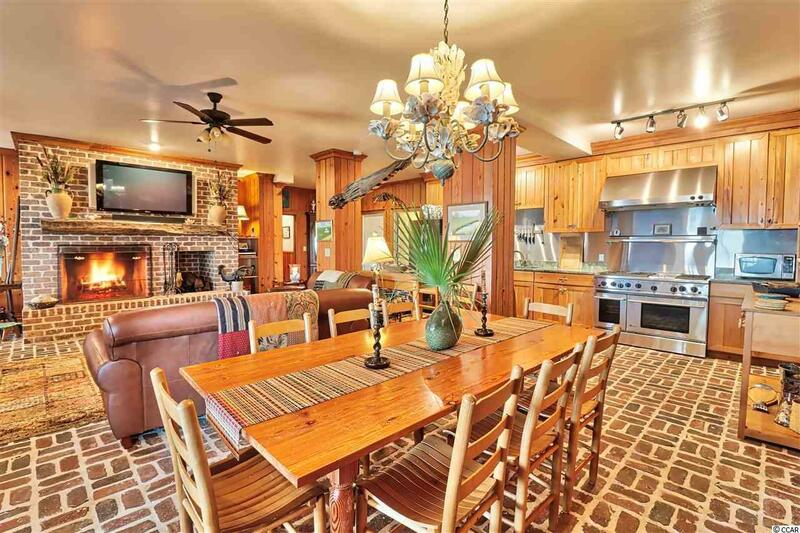 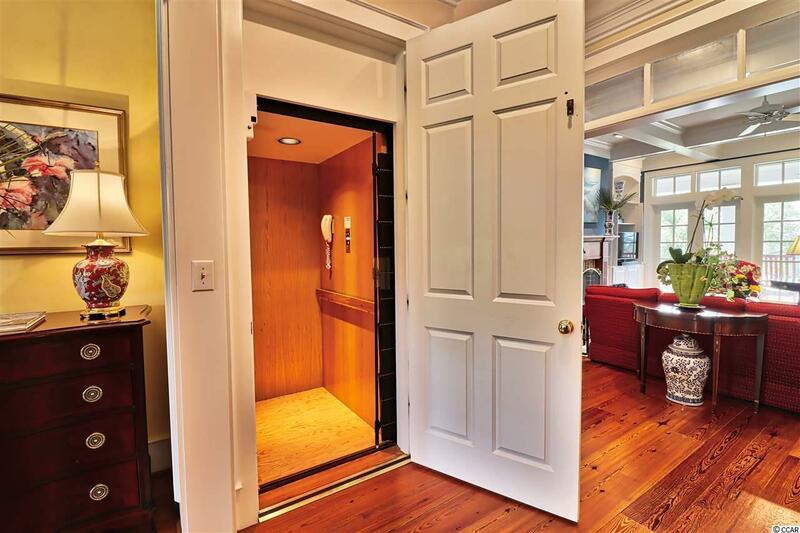 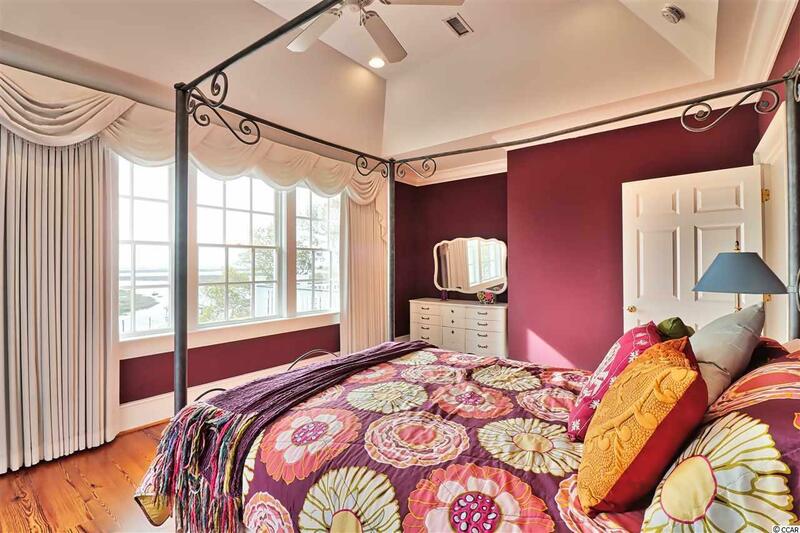 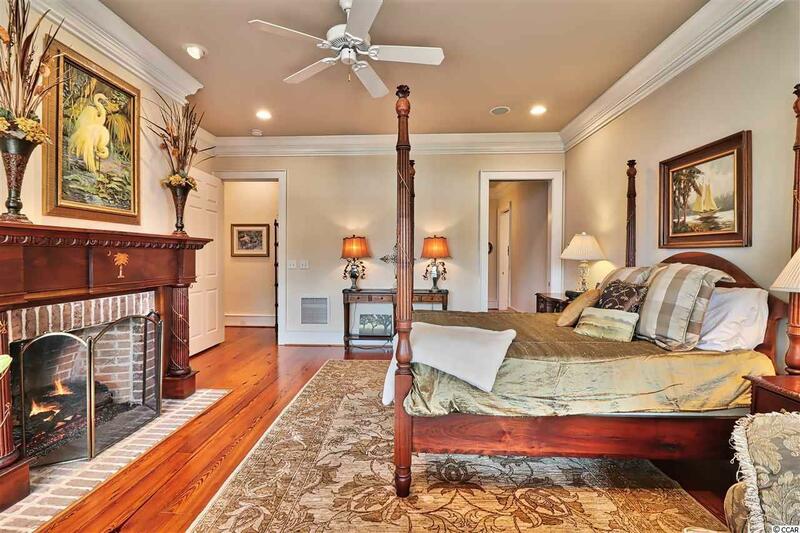 10 foot ceilings, custom hand carved woodwork, mantles, cabinetry and furniture throughout. 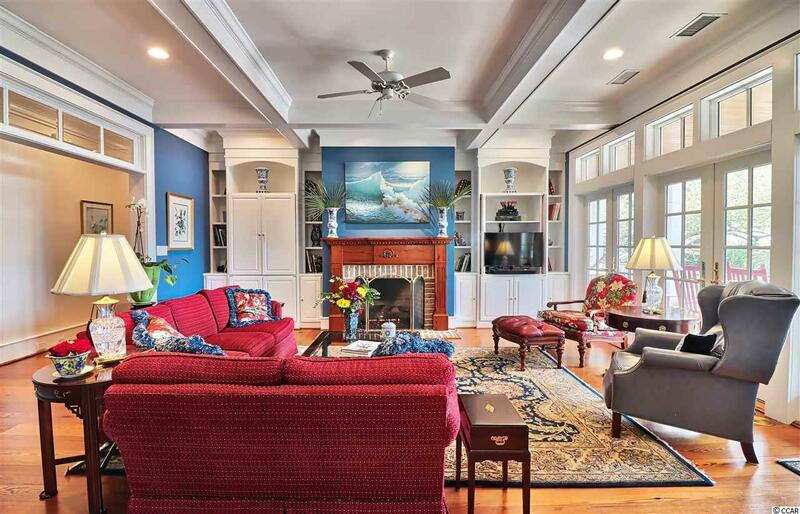 Beam and coffered ceilings, gas and woodburning fireplaces. 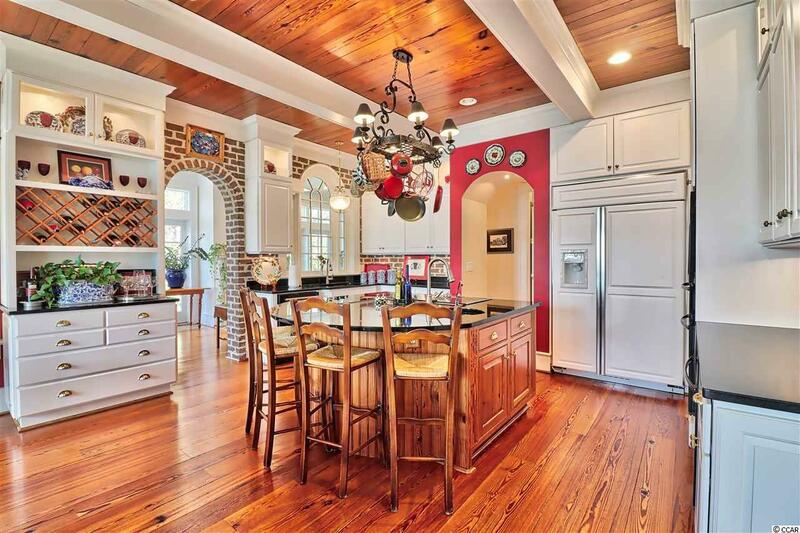 Downstairs den and porticos made from hand hewn cypress and Charleston brick, featuring cypress walls, custom cypress cabinetry and stainless steel appliances with commercial grade range. 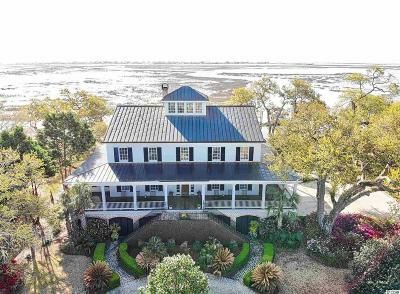 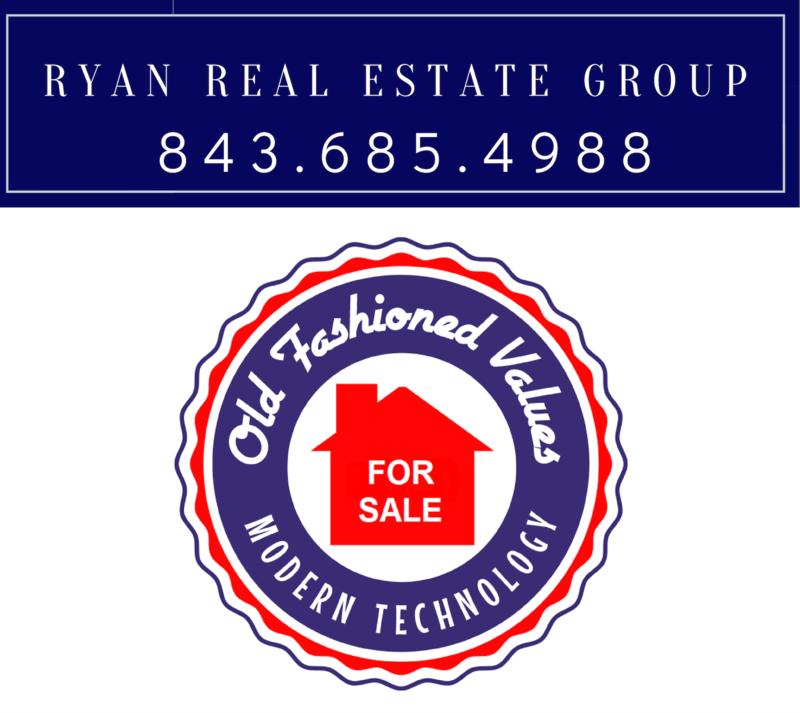 Structural upgrades include galvanized copper roof, reinforced solid poured concrete and steel block walls on the ground floor, laminated beam structure flooring system, retractable stainless steel hurricane shutters and all stainless steel nails throughout house. 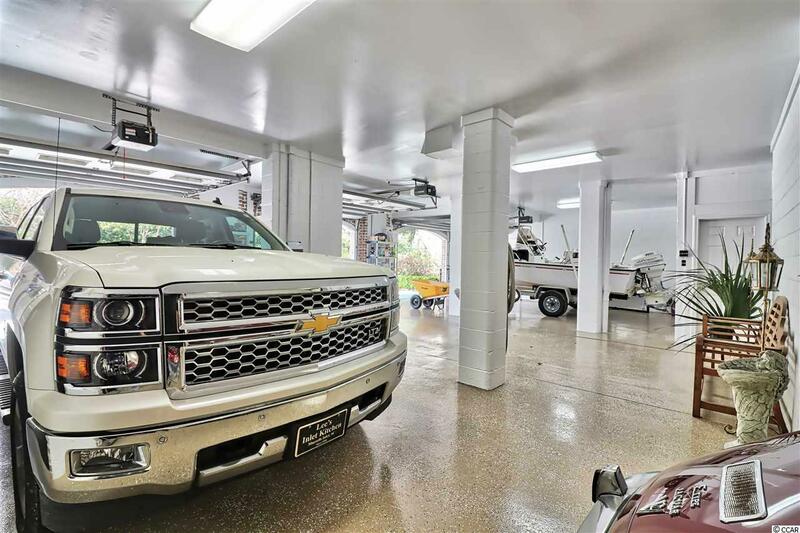 Features a fantastic layout with tons of Natural Light and Extensive Storage Area. 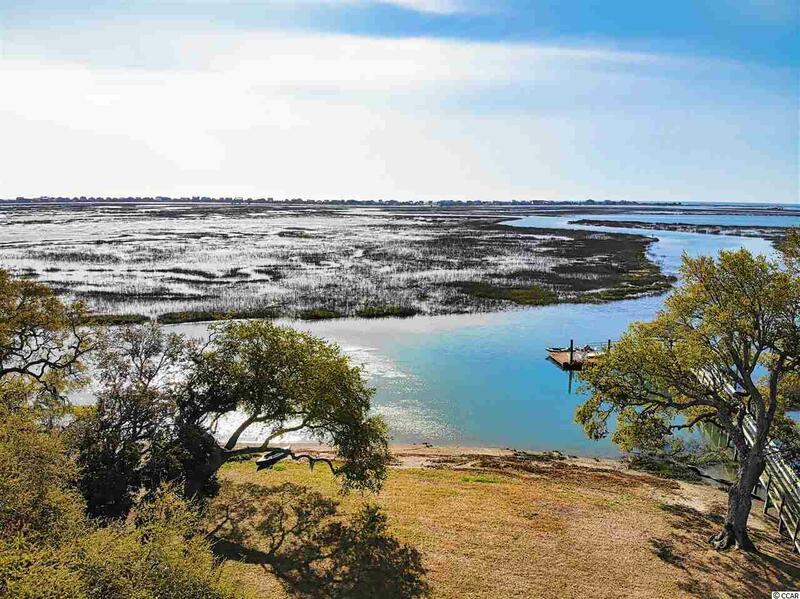 Directions: Turn Off Highway 17 Bypass Onto Wachesaw Road Towards The Ocean At Stop Light By Kangaroo Gas Station. 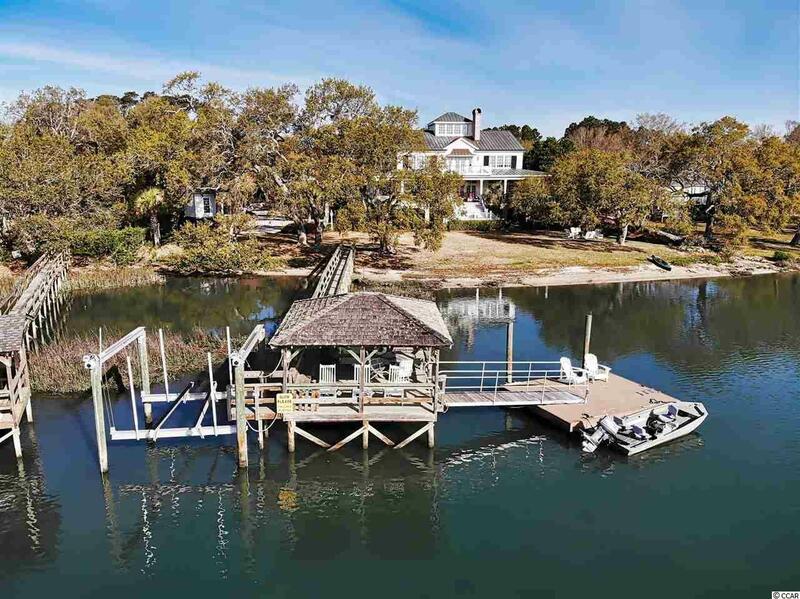 At The Next Stop Sign, House Is Diagonal To The Left On The Water With A White Mailbox With 2 Brick Columns With Lights On Top.